SB163 – DEP Rules Bundle- Water Quality Standards – Late last week, the Senate Judiciary Committee stripped updated human health protections from our water quality standards. This decision was made without public debate at the request of a few industry lobbyists. The full Senate voted on the rule Thursday and it passed along party lines. Action: Talk to your Delegates and tell them to update drinking water protections today. SB409 – PPA Bill – Power Purchase Agreements (PPAs) allow for third-party financing, ownership, and maintenance for a distributed energy system on your property. This is a pro-solar, pro-renewable bill! Allowing PPAs would benefit nonprofits, schools, municipalities, commercial business, manufacturers, and YOU with lower energy bills and tax credits. Additionally it would expand economic development in our state; creating high-paying local jobs and attracting major corporations. Action: Talk to Chairman Randy Smith, and ask him to put this bill on the agenda for Energy, Industry, and Mining! HB2589 – MOJO Act: The Modern Jobs Act (MOJO Act), would enable large energy producers to access cheaper renewable energy on formally mined lands so they can create and protect manufacturing jobs in the state. It would also invite modern tech companies to the state who have renewable energy targets. Action: Ask Chair Jim Butler and Co-Chair Daniel Linville (216E) to put HB2589 on the Technology & Infrastructure Agenda! HB2660 – Relating to the manner in which actual investment of capital and costs and a natural gas utility’s expedited cost recovery are calculated This bill is related to how expedited cost recovery of capital investments are calculated. It would allow natural gas utilities upfront recovery of projected capital investments for a multi-year capital investment plan of indefinite duration. The cost of recovery will be placed upon YOU, the ratepayers. We have heard this bill will not run, but we are keeping our eyes on it. HB2661 – Relating to natural gas utilities. This bill is focused on producer incentives and encourages conventional natural gas drilling as current production is down. This bill is backed by Dominion Energy. This bill also relates to cost recovery for natural gas utilities to recover costs for converting a customer to an alternate fuel source when applicable. Action: This bill is on third reading on the House floor Monday. Ask Delegates to vote NO on the bill. HB2673 – Creating the Oil and Gas Abandoned Well Plugging Fund. This bill would create the Oil and Gas Abandoned Well Plugging Fund. Unplugged wells are quickly becoming an environmental crisis, with an estimated 4,000 wells abandoned. This legislation is a step in the right direction; providing funds be collected to plug abandoned wells. Action: This legislation is on its way to the House. Ask members of the House to vote YES on this legislation. SB115 – Relating to certain election expenditure disclosures. 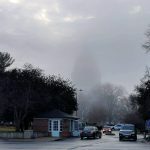 This bill would require the disclosure of dark money political expenditures to allow the public to know who is paying for political advertisements. We deserve to know who is spending money to influence our votes and our elected representatives. Action: Talk to Senate Judiciary Chairman Trump and ask him to put SB115 up for a vote! SB491 – Extending effective date for voter registration in conjunction with driver licensing. This bill extends the time the DMV, the Secretary of State, and County Clerks have to prepare for Automatic Voter Registration (AVR), which they need! We want this program, but when it will be successful. Action: The Senate Judiciary Committee approved the bill and sent it to the full Senate for a vote; it will be on second reading Monday. Ask Senators to support the bill and give state agencies the resources they need to implement AVR. SB236 – Providing notice of eligibility to persons to vote after completion of punishment or pardon. Would provide notice and an opportunity to persons convicted of certain crimes the they are eligible to vote after completion of their punishment. 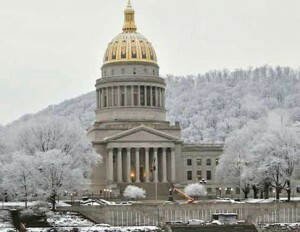 West Virginia restores the right to vote after people they complete their sentences —they just don’t know it. Action: This bill has passed the Senate! Now we need to ask House Judiciary Chair John Shott (Room 418M) to put it on the Committee agenda. HB2008 – Relating to nonpartisan election of justices of the Supreme Court of Appeals This bill would require that a run-off election be held when no candidate receives a majority of votes cast in an election for the Court. The bill is currently parked on the House inactive calendar. Action: Ask House Judiciary Chair John Shott (Room 418M) to request to move the bill back to committee so it can be worked on and amended. Senators Lindsay, Ihlenfeld, Jeffries, Facemire, Baldwin, and Romano and Delegates Hansen, Pushkin, Fleischauer often go to bat for the E-Council! A note of thanks and encouragement is always welcome!